Tabbouleh is a traditional Middle Eastern Dish. 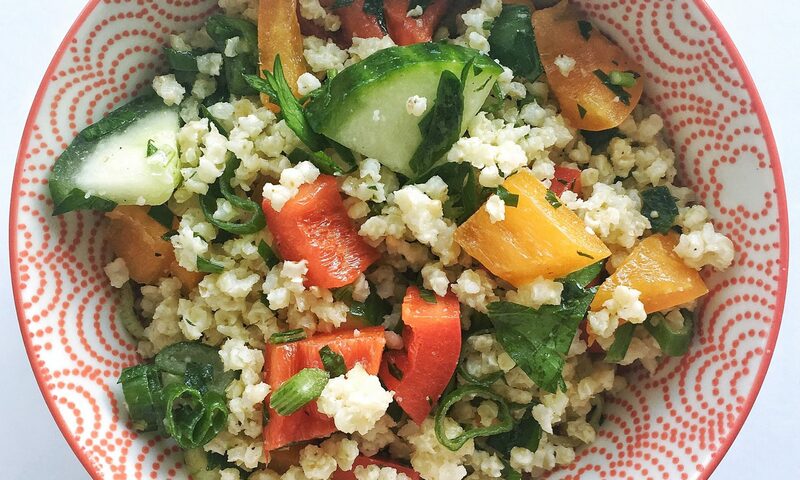 Made with bulgar traditionally, Western variations of tabbouleh include quinoa, couscous, and now millet! Millet is an ancient grain that goes through minimal processing. It is gluten-free, exceptionally simple to cook (1 part millet, 2 parts water – simmer for 20-30 minutes), and has a delicious nutty flavour. Millet is a mineral dense grain, full of magnesium, iron, B vitamins, and its a great plant based source of protein and fibre! Millet is also unique in the fact that it helps glucose absorb slowly, which means it will help keep your energy steady and avoid the 3pm crash which has you reaching for sugar. Combine your millet and chopped veggies and herbs together. In a separate bowl, zest and juice your lemon, add olive oil and whisk together to emulsify. Toss your tabbouleh with the lemon, olive oil dressing. Add salt and pepper to taste.